I love looking at vintage dead stock. The ones here are from none other than Nikon. 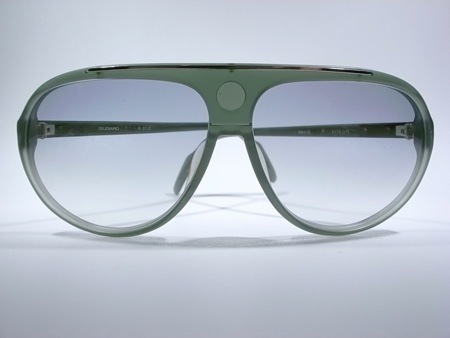 These babies are a healthy 155 mm in width and feature blueish tint lenses. The slight detailing comes by way of the circular window above the bridge. With thin arms and more rounded edges, than other aviators, these unisex shades are a modest yet very throw back looking model. Available through M Vintage. This entry was posted in Collections, Sunglasses, Vintage. Bookmark the permalink.